Classic crime noir full of dirty realism. John's bored in his witness protection program in Bristol. A disturbed ex-SAS soldier, he searches for meaning at the bottom of many a glass and madness sets in. Then the cryptic messages arrive. One note comes with a knock on his door and a chance to find a missing girl; to start over again... as a private investigator. Meanwhile, his therapist encourages him to put his demons on paper; to write it all out. As John battles with his past, could this writing lead him to find the girl, his future and maybe even love? 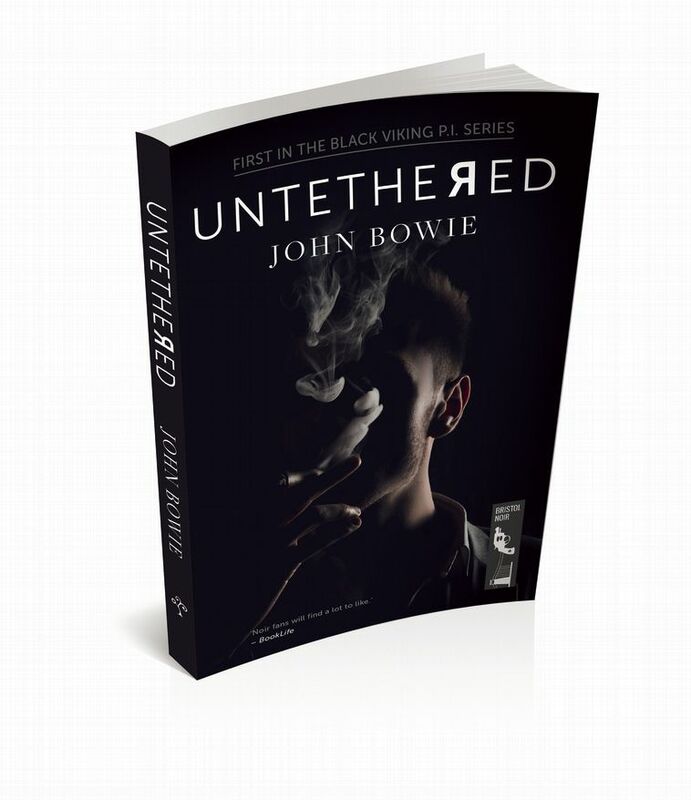 Untethered is a semi-autobiographical crime noir, exploring themes of identity, isolation and the damaging effects of drink, depression and PTSD. John Bowie grew up on the coast in rural Northumberland, a region steeped in a history of battles, Vikings, wars and struggles. These tales and myths fascinated him both as a child and as an adult. In the mid to late nineties he studied in Salford, enjoying the bands, music, clubs and general urban industrial vibe of Greater Manchester. As well as the club scene, and the infamous Hacienda, John also experienced the darker side of the city and was there when the IRA bomb went off in 1996. John now lives in Bristol with his wife and daughter, where he has been since the late nineties. He is a professional designer, artist and writer as well as a proud husband, father, brother and son. John is the founder and creator of Bristol Noir. John's new blog, Shorts, features short stories, articles and reviews. Download a copy of John's Advance Information sheet here. Read John's interview with The Dorset Book Detective here. Read Storgy magazine's review of Untethered here. Read the review on the Crime Fiction Lover website here. Take a look at this review of Untethered from Publisher's Weekly here. Read John's short story, 'Milburn's Last Class' which is a finalist in Storgy magazine's Flash Fiction competition. Here's Paul D Brazill's review of Untethered. Read this review on The Thrilling Detective of John's book. Read John's latest interview with Paul D. Brazill here.